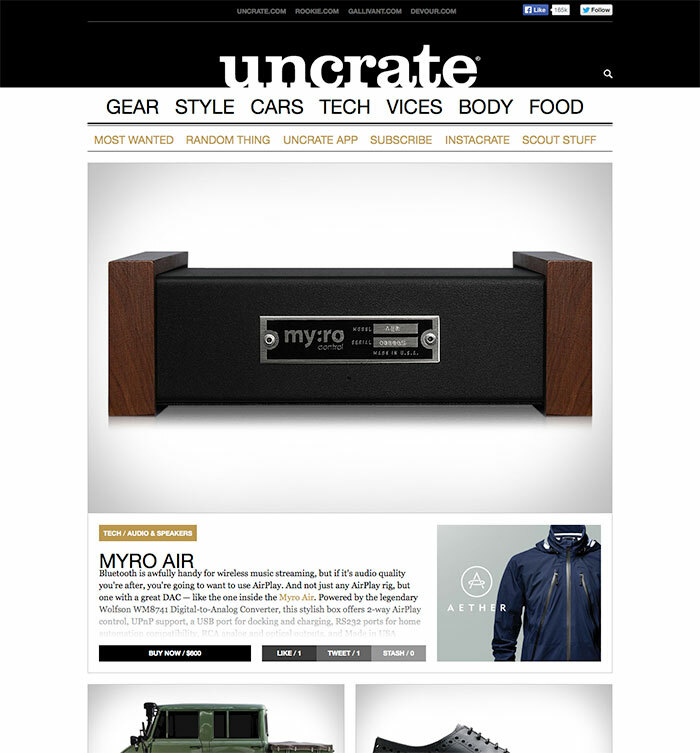 One of our favorite sites, uncrate, featured Myro:Air today — we must say, we’re very honored! It puts wind in our sails when other’s think our product is as great as we do. All the hard work we’ve put into Myro:Air is for you to enjoy and Myro:Air really does make your music sound that much better and everyone that experiences thinks so too. Onwards and upwards!